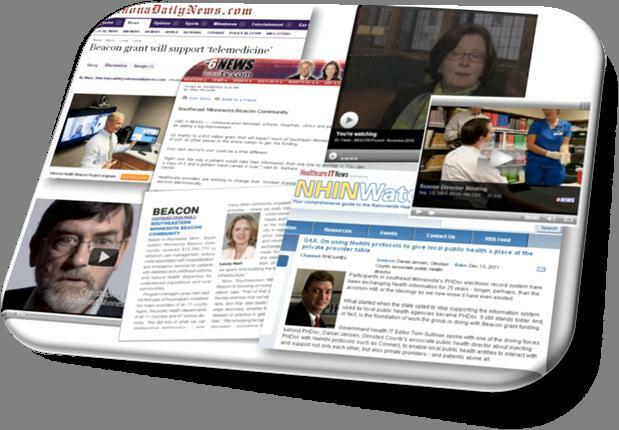 Minnesota Beacon a true partner to patients. Collaboration not just a slogan. By Richard Pizzi, Editorial Director. Five areas schools awarded grant dollars to work with the Beacon program. These schools will help the Beacon program collect data on Asthma Action Plans and will be early users of the software being created. A-Vu ePortals at Winona Health [Highlights telemedicine appliances installed as part of the Winona telemedicine deep-dive project]. Southeast Minnesota Beacon will be building part of the infrastructure for the Connectivity Consortium, the new health IT initiative by five of the nation’s leading group medical practices. Beacon Communities Aim to Use Health IT to Transform the Delivery of Care.